The Internet has been opening doorways for people and closing the gaps since it went public in the mid-1990s. Unfortunately, this also means open doors and easier paths for thieves. VPNs were created to provide a safe avenue for data to be transmitted over the Internet, away from the grasp of thesethieves. Companies like SecurityKISS now provide individuals with VPNs as tools to secure their privacy online so they can hide from data-hungry online snoops. People used to rely on website security, anti-virus programs and WiFi passwords to keep their data safe. But hackers have become very skilled at getting around these defenses to obtain credit card numbers, hijack online store accounts and control personal computers. More and more, ordinary users realize the dangers of using the Internet. Many are searching for practical solutions to secure their Internet. The SecurityKISS VPN is one of the most efficient Internet security tools available today. About three billion people regularly surf the web. This is a lot of potential financial information for thieves to get their hands on. And today, it’s not only thieves that are looking over people’s shoulders. Authoritarian governments, spy agencies, and advertisers are all interested in finding out about what people are doing on the Internet. If you were walking down the street and four people you didn’t know were following you and watching you, you’d instinctively go on the defensive. Having SecurityKISS is like having a personal body guard who shields you from view and prevents these curious folk from seeing anything you do. Governments restrict their residents’ Internet access for many reasons. Some have to do with security, others are religious and political in nature. Whatever the reasons, Internet users in countries that practice Internet censorship are closely monitored by government agencies. The Internet providers are often required by law to provide the government with any requested records of their Internet activities. This makes it difficult and dangerous for people to talk and act freely online for fear of punishment. They can have their Internet cut off, pay fines, or even go to jail for saying or doing something the government doesn’t like. SecurityKISS helps people in these countries avoid getting into trouble by securing their communications and hiding the trace of their visits to different websites. By now everyone knows about PRISM. But just this week news came out about a tool that the NSA regularly used to gather information from the Internet. The tool is called Xkeyscore, and it is the most sophisticated data gathering tool in the NSA’s arsenal. With just one piece of identifying information, an NSA analyst can pick up a ton of information about any person who has been online, anywhere in the world. Just an email address, name, or IP address, for example, can lead them to the contents of social media messages, online chats, and browsing history. People who enjoy their right to privacy need the SecurityKISS VPN to help them hide their trail. Advertisers make a lot of money from the massive amounts of data they collect on user activity on the Internet. They track where people go and what they do online and create profiles of them to sell to companies for their advertising campaigns. Most of the time, Internet users do not know that everything they do is actually being tracked. Cookies are regularly sent and received for every webpage visited, every ad clicked. And if being followed isn’t disturbing enough, these cookies can be manipulated by hackers to get into the user’s computer files and browsing history. Hackers use the information they gain to eventually steal through online banking, credit cards, using the user’s name to sign up for accounts, and much more. A VPN connection is still the best known solution to Internet security threats. The SecurityKISS VPN will provide users with an alternate IP address that is not associated with them personally. 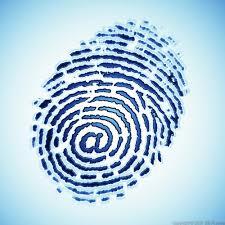 This will allow people to go online and not be identified through their IP address. Having a different IP address also allows the user to access websites and online applications that have been blocked in their physical location. The VPN server that assigns the IP address has its own security, which blocks the malware that hackers spread around to infect computers and steal valuable data. The SecurityKISS VPN connection will also encrypt all the data a user sends over the Internet, and transport it through a private tunnel that is not open to others on the Internet. The data cannot be read and cannot be seen as it is transmitted. SecurityKISS is a necessary tool these days to give back to users the online privacy, security, freedom and anonymity that has been taken from them. With SecurityKISS, users don’t need to worry about identity theft, credit card theft, government monitoring, spying, and much more. For more information on SecurityKISS, you can access our review and the website from here. You can also compare it to other top VPN providers to find the service that is right for you.